Welcome to the first blog of the 2018/19 school session. We are back a week now and it feels like we have never been away! The pupils have settled in well to the routine of school life again, particularly our new S1 pupils who are making a good first impression. We have been having assemblies and these have focused on the expectations we have of the pupils over the course of the year. It was lovely to see some of the work that has taken place in the school over the holidays. This included the internal walls being painted, which has fairly brightened the place up, especially on the staircases. We have also had work done at the entrance to the school. Above out front doors, as well as our current school badge and motto, we also have the original Our Lady’s school badge along with the Greek motto. All of the work makes such a big difference as you approach the building and as you walk about the school. NewTown Waste Solutions based in Motherwell had a competition recently to design the artwork for a new trailer they were purchasing. We were delighted that three of our pupils were successful in this design. Christine (S3) won the prize for the design concept and Erin & Megan for the slogans. Well done to the girls who were assisted in the process by Mr Weir, our PT Art & Design. As you know our school app is available to purchase free of charge. The app will have the important calendar dates on it, links to school twitter accounts, blog, etc… We will also be using this eventually for communication instead of text messages. If you haven’t already done so, please download the app to keep up to date with all that is happening in the school. I have listed some of the forthcoming events in the school below but would like to draw your attention to a couple. 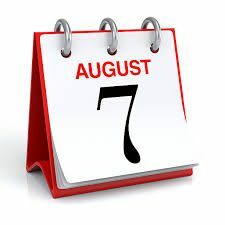 The school photographs will take place between Tuesday 4th and Thursday 6th September – once organised, pupils should keep an eye on the bulletin for the date their photo will take place. You will see that the Patronal Feast Day celebrations will take place on Friday 7th September. We will now be celebrating our Feast Day around the 8th September, the Feast of the Nativity of the Blessed Virgin Mary. It has been in March for a number of years but this did not allow for a proper school celebration due to the proximity of deadlines and exam preparation in S4/5/6. This entry was posted in Uncategorized on August 22, 2018 by Mr Cardle. On the 7th June young people from across Scotland gathered at the Clyde Auditorium in Glasgow to receive their Caritas Award. Pupils have worked throughout the year volunteering in the school and in their Parish community and reflecting on their Faith journey. The Awards were a great celebration of all the work that has been happening – well done to all! SCIAF is a charity that we are always keen to support and so congratulations and well done goes to our students and teachers who took part in the SCIAF Ben Nevis challenge recently. After many months of preparation the big day finally arrived – S6 Prom! Pupils turned up at Dalziel Park Hotel looking fabulous and enjoyed a great night to finish off their time in Our Lady’s. There was a great attendance from staff – testament to the high esteem in which the year group were held. Our group of staff and pupils returned from Malawi having had a fantastic and humbling experience. We are looking forward to hearing more about their trip in the new session. We try to offer opportunities for our pupils to lead learning and this has been happening recently with our new S6 pupils delivering lessons on Drown Prevention to some of our younger pupils in PHSE. Pupils gathered recently from across the country for the Aid to the Church in Need Rally at Motherwell Concert Hall. 40 of our new Caritas pupils from our new S6 pupils went along and are already talking about how they can support ACN next year. A representative from St Andrew’s Hospice visited the school recently to talk to our new S6 pupils and we were delighted at the large number of pupils who came forward at the end to sign up for the Ambassador’s Programme. We finished off the year with an excellent Junior Awards Ceremony, celebrating the successes of many of our pupils in S1/2/3. The ceremony was led by pupils and involved groups from each year group speak of some of the great things that have been happening throughout the year. The awards were presented this year by our school Chaplain, Fr Martin Delaney. Unfortunately Fr Martin is leaving us as he has been appointed as Parish Priest of St Aloysius in Chapelhall and Sacred Heart, Salsburgh. We will miss him in Our Lady’s but wish him every success. It has been an exciting and enjoyable year for me in my first year in Our Lady’s and I am thoroughly looking forward to next session. Thank you to everyone for your support of this wonderful school and for the support and welcome you have given me personally. I would like to finish by wishing you all a fantastic summer. See you in August! This entry was posted in Uncategorized on June 26, 2018 by Mr Cardle. S1 – 3 recently took part in their own annual Champions League football competition. This became a quite competitive and that was down to some of the staff involved! They don’t like losing! The new S2 took part in Climate Day. Mrs Smith and Mrs Jeffrey pulled together a programme for the day involving a number of different staff looking at climate change, getting the pupils to look at their own carbon footprint and to write down their solutions to personally improve it. Sports day for S1/2/3 took place recently and we had great weather for the pupils to take part. In the end it was Sinclair House he came out on top overall! Well done to everyone who took part and thanks to the Lifestyle Development department for organising a great day. We were delighted to have been involved in the recent Lisbon Lions tournament and the boys did well to make it to the Finals that took place at Celtic’s training ground in Lennoxtown. We did not win but the boys performed well and were a credit to the school. The SQA exams are now completed for another year. It’s now time to forget about these for a while until the results come out on Tuesday 7th August. Thanks to Mr McQuillan for coordinating these important exams and liaising with staff in arranging additional support where required. Congratulations to Niamh Docherty, who recently won a design competition. Her fashion design was the first on the catwalk at the Kelvingrove Art Gallery for the Glasgow Kelvin College fashion show recently. The actual garment is now displayed in the foyer! Well done to our S1 pupils who recently walked up Tinto Hill in support of St Andrew’s Hospice – a wonderful cause. And thanks to all of you who sponsored them in their venture. There are a number of activities going on in PSHE (Personal, Social and Health Education) at the moment. A particular focus has been that of summer care and looking after our skin. The booklet for this can be found on our school app, which is available to download for free. Well done to Charlie who has won the NLC Safer Internet Day challenge! S1-S2 pupils created posters in PSHE & Charlie’s was selected by a panel from the Child Protection Committee, CL&D, Education & the Police. Charlie was presented with a certificate and a prize of £200 for OLHS! S3 had a fantastic day of speaking and debating with led by Suzanne from the English Speaking Union Scotland. Everyone was hugely impressed by the number of pupils willing to stand up in front of their whole year group and argue their case. Congratulations to the Techno Textiles team who won the Teamwork Award for their survival jacket in the Material World Go4Set Challenge 2018. They worked very hard and are proof that STEAM: Science Technology Engineering Art and Maths can lead to a bright future! The survival jacket and award are on display in the front of the school if you would like to see their design. Once again a group of pupils signed up for the York trip. This trip left on the Sunday, returning on the Thursday and had a great time. They were complimented for their exemplary behaviour by their fellow hotel guests who initially panicked slightly at the thought of a school group staying in the hotel! We had our Mass of Welcome for our Primary 7 pupils who will be joining us in August, along with our new S6 pupils. They were joined by a large number of family and friends and parents also had the opportunity to meet up with their child’s Pupil Support teacher. Fr Martin celebrated the Mass and we are very grateful to him for the constant support he gives the school. The P7 pupils are now joining us for a couple of days to get an experience of the school before they start in August. And finally good luck to Mrs Hill, Miss Simpson and our 3 senior pupils, Shannon, Chloe and Michael as they head off on the Malawi trip. We will hopefully be kept up to date with their progress on Twitter! This entry was posted in Uncategorized on June 5, 2018 by Mr Cardle. The SQA exams began on Monday 30th April and so we are about halfway through them now. There have been a lot of positive remarks after the exams so here’s hoping the hard work has paid off. There was some disruption to some exams due to the fire alarm going off. There has been a new system put in place in the school as part of the rewire, which recently went live. There has been some issues with some of the sensors but we are hoping that it has now been fully rectified and no further disruption will take place. This was an opportunity to remind pupils of the disruption that a false alarm can cause, particularly to the pupils in Bothwellpark and those sitting exams. Therefore any setting off of the fire alarm deliberately is a serious offence, and indeed a criminal one, and would be dealt with as such. I hope that everyone enjoyed the long weekend at the start of the month and made the most of the good weather we were lucky to have. Staff returned on the Tuesday for an inservice day and focused on a number of areas but most importantly the self-evaluation from the previous year and a discussion on the School Improvement Plan for 2018/19. There has been a draft copy of this now made up and is with staff and the Parent Council for consultation at present. Uniform in Our Lady’s continues to be excellent and we were delighted that so many turned up for the Uniform fitting evenings recently to get blazers organised for next session. We were recently shortlisted in 4 categories for the North Lanarkshire Excellence & equity awards. This was in recognition of the great work that is going on in Our Lady’s High School and I would like to take this opportunity to thank all those involved for regularly going above and beyond to support the pupils. We were delighted to have been shortlisted, however even more delighted to win awards in two of the categories; Big Challenges – Effective Solutions & Productive Partnerships – Purposeful Learning. Ascension Thursday was on 10th May and once again we are very grateful to Fr Martin for coming into the school to celebrate Mass for staff and pupils. Congratulations to Dominic, Keir and Ciaran who recently took part North Lanarkshire’s ‘Speaking up’ public speaking competition. Public speaking is a great skill and will that one will stand anyone in good stead for the future. Some of our S4/5 pupils have been involved in the Titanic project during SQA exam leave and have been having a fabulous time and have been flourishing. They have been on a number of excursions as part of this and were recently visited by Walter Lee from the RNLI. This entry was posted in Uncategorized on May 15, 2018 by Mr Cardle. Preparation for the SQA exams continues with many pupils involved in write-ups and practicals for a number of subjects. It is a busy time for all involved but will all be worth it in the end. Easter school for pupils is running this year on Tuesday 3rd and Wednesday 4th April – this is a great opportunity to prepare for exams and so far a large number of pupils have signed up for these sessions. The North Lanarkshire Schools Bands Concert took place last week and it was great to see a number of Our Lady’s pupils involved in this great night in the Concert Hall in Glasgow. Well done to all! I had the great pleasure of celebrating my first Feast Day in Our Lady’s on 23rd March. We had a beautiful Mass with the whole school, celebrated by Bishop Toal and joined by local priests, former members of staff, Povost Jones and other invited guests. In the afternoon S6 pupils took on the staff team at football (1-1 draw), watched by a number of S1/2 pupils, while the rest of the S1/2 pupils were treated to a film in the Theatre. As part of our fundraising efforts in the school some staff and S6 pupils are taking part in a ‘Strictly’ event where all will show off their dancing skills – or not! Autism Awareness week took place last week and this involved a number of events in partnership with Bothwellpark High School. These included, amongst other things, a coffee morning on the Monday to start the week off, various classes with pupils from both schools throughout the week and an excellent Karaoke on the Wednesday afternoon. Our final two sessions for parents of P7 pupils are taking place, allowing them to find out more about the school, the transition process and to get a tour of the school. It won’t be long now until the P7 pupils induction days in June and then the pupils joining us in August. We have worked hard to try and improve communication with parents over the course of the year through emails, the used of twitter, this blog, etc… We are now pulling all of these together in one easy place by purchasing a School App. 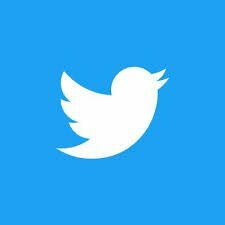 This will have, amongst other things, a calendar of events, links to twitter, blogs, the school website and will be a way of communicating with parents and other family. Sending messages via the app will save the school a large amount of money rather than texts and therefore we will eventually be using this as our main form of contact about events such as Parents’ Evenings, reports being distributed, school closures, etc…. The launch of the app will take place on Monday 23rd April and will be free to download on as many devices as you want. And it is not just for parents – aunts, uncles, grannies, cousins, the pupils….everyone can download it! Finally, have a very Happy and Holy Easter with family and friends! Thursday 29th March – School closes at 2.30pm for the holidays. Monday 16th April – School return for start of the last term. Tuesday 3rd and Wednesday 4th April – Easter School for S4/5/6. Monday 23rd April – Launch of the School App. 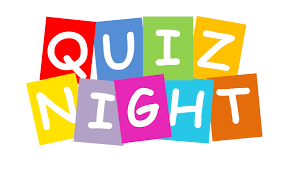 Tuesday 24th April – Lifestyle Development Evening for P7 pupils and parents. Friday 27th April – last day for S4/5/6 before study leave. Friday 27th April – Leavers Mass for S6 pupils and parents. Monday 30th April – SQA exams begin. Monday 30th April – Parent Council Meeting. Tuesday 1st May – Meeting for York Trip. Monday 7th May – Holiday. Tuesday 8th May – Inservice Day. Wednesday 9th & Thursday 10th May – Uniform Fitting evening. Friday 11th May – S1 Reports issued. 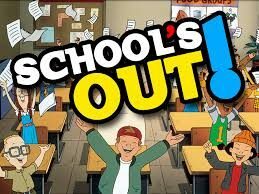 Friday 25th & Monday 28th May – School Holidays. This entry was posted in Uncategorized on March 26, 2018 by Mr Cardle. We had a group of S3 girls who attended the Fire Reach programme at Coatbridge Fire Station last week. They had a great time learning about First Aid, CPR and the basics of attending a road traffic incident and a fire. There was a group of boys starting this week but the snow put a stop to that! 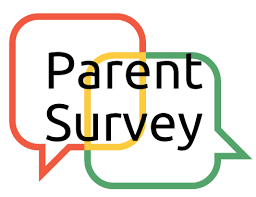 I have been trying to get some feedback from parents on their thoughts on the school and in order to do this have been recently been emailing a short monthly online survey for completion. Your opinion really matters and so I would encourage you to get involved. If you have not been receiving the email, please contact the school office who can check that we have the correct email address for you. This entry was posted in Uncategorized on March 2, 2018 by Mr Cardle. Congratulations go to the Go4SET team, Econix, supported by Mr Law, who won the North Lanarkshire competition recently with their eco-friendly Sports Centre. They now move on to the final in Edinburgh in June. Well done! Our Go4SET teams have been getting mentored by Liberty Steel in Motherwell and we are very grateful for their support. And another group of pupils were recently accompanied by Mrs Steinert to Dumfries House in Ayrshire to take part in the Textile Go4SET. This group are lucky to be mentored by a very successful textile company, Scott and Ffye. The Annual Education Mass took place in the Cathedral on Wednesday 31st January. This was a lovely celebration of Catholic Education led by Bishop Toal. There was a great turnout from Our Lady’s High School staff and pupils as well as from all the other schools across the diocese. S4 Parents’ Evening took place recently and staff were delighted to meet parents to discuss next steps for pupils at this crucial time with SQA exams not far away now. A group of pupils have come together to form the BBC School Reporters team and are working on a report about former pupils of Our Lady’s HS who have gone on to have successful or interesting jobs. If you would be interested in sharing your story, please get in touch with the school (Ms McFadyen in the school library). Our Careers Advisor Ruth Fulton brought a group of her colleagues into the school recently to work with small groups of our S2 pupils as part of the S2 Skills Development Day. This was an opportunity for all pupils to get involved in a workshop engage in a discussion with a careers advisor. We have a great transition programme here in Our Lady’s that helps to ease that transition for our young as they move from Primary to High School. Part of that programme involves a visit from our P6 pupils who followed a timetable in the school for the day. By all accounts, it was a great day that helped the pupils on that first step in their transition to Our Lady’s in 18 months. Another part of that transition programme is an information session for parents of P7 pupils. There are 4 sessions organised and parents can opt into any one of these. The first one took place recently and involved a presentation and then a tour of the school by S6 pupils. The dates for the next sessions are Monday 26th February at 2pm, Tuesday 20th March at 7pm and Wednesday 28th March at 2pm. We had a sunny, if not cold day, for a whole school assembly on the Friday before the long weekend. This was an opportunity to go over some of the basics – eg. uniform, phones, behaviour at interval/lunchtime, on the buses and in the community. At a recent meeting of Principal Teachers we had a presentation from Scottish Credit and Qualifications Framework (SCQF) and as such we are now part of the School Ambassador Programme. What we have commited to do is raise the awareness of the SCQF Framework with all staff, pupils and parents, increasing their understanding of what this is. 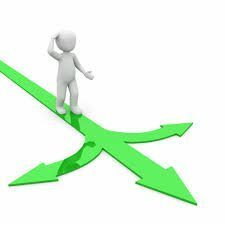 Monday 26th February – the second of our Information sessions for P7 parents at 2pm. Monday 5th March – Parent Council Meeting at 7pm. This entry was posted in Uncategorized on February 15, 2018 by Mr Cardle. We have been at school now for almost 2 weeks already and it feels like we have never been away. I hope everyone enjoyed a good break over Christmas and New Year. We have have had some adverse weather conditions recently and we would plan to update our school twitter as much as much possible to keep you informed of any developments. However, North Lanarkshire has a dedicated page for updates that you can follow (https://www.northlanarkshire.gov.uk/index.aspx?articleid=20199) as well as a Twitter account (@nlcwinter) that will keep you informed. Thanks to all the staff, pupils and their parents who have made a great effort to get into school in some very difficult circumstances for many. This entry was posted in Uncategorized on January 17, 2018 by Mr Cardle.